SEOUL, June 30 (Yonhap) -- North Korean leader Kim Jong-un has visited island areas near China, the country's state media said Saturday, a move apparently aimed at spurring economic cooperation with Beijing. 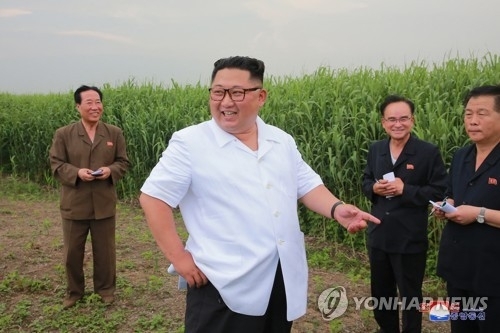 The North's leader made the so-called field guidance to a reed farm in Sindo County in North Pyongan Province, which borders China, according to the Korean Central News Agency. It was his first such inspection since his summit with U.S. President Donald Trump in Singapore on June 12 and his third visit to China on June 19 and 20. Kim's rare visit to the remote northern region spawns speculation that the North may seek to strengthen its economic cooperation with China amid their thawing ties. Kim held his first summit with Chinese President Xi Jinping in March, followed by another in May in the run-up to his meeting with Trump over the North's nuclear program. Sindo County includes Hwangkumpyong, an island in the Yalu River near the Sinuiju-Dandong border where the North and China agreed in 2011 to develop a special economic zone. 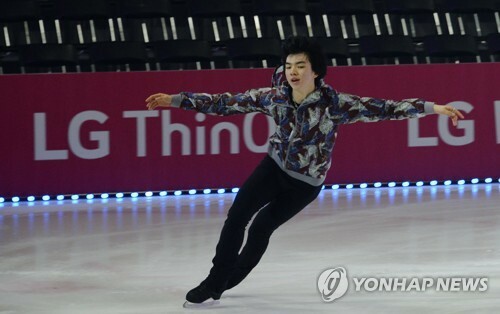 But the project went into limbo following the North's execution of Kim's uncle Jang Song-thaek in 2013. Ties between North Korea and China had long been strained over Pyongyang's nuclear weapons. China has been implementing the United Nations' sanctions on the North, but following the North's rapprochement with the U.S. and China, Beijing recently raised the need to ease sanctions. The KCNA said that Kim has ordered that the county be made a large-scale production base for reed to produce chemical fiber materials. "Kim's visit to the island areas reflected his will to seek the development of a special economic zone jointly with China," said Lim Eul-chul, a professor at the Institute for Far East Studies at Kyungnam University. His entourage included Hwang Pyong-so, who was dismissed from the post of the top military official, and Kim Song-nam, the first vice director of the international department of the ruling Workers' Party of Korea (WPK). Kim, the party official, is known to be in charge of China affairs in the WPK.